It’s nearly all you hear about these days in the world of IT – along with ransomware and other malware cyberattacks which are all the rage with hackers: Everyone is moving large parts of their IT networks (if not all of it) to “the cloud”. So, it’s really no surprise that the “cloud shift” is slated to affect in excess of $1 trillion in IT spending by 2020. This means that cloud spending is already accounting for many billions of dollars globally on cloud services like backup and recovery, cloud computing and virtualization for remote office capabilities, and much more. And, it’s a good bandwagon to get on: the cloud is liberating companies from more susceptible networks and data breaches, as long as their data centers and networks are overseen by IT experts who can provide remedies and pre-emptive measures for any possible threat. Allied Market Research underscores a main driver of businesses to cloud computing when it proclaims that, “The key driver for the market is that it provides cost benefits when it is compared to conventional physical storage as it is estimated that cloud services would save 35% of the annual operations cost.” Cutting costs and upping productivity are indeed the main factors interesting companies in cloud services, but what other key benefits are there? Airtight document control parameters, and much more. Spending within IT infrastructures will be significant in 2016, with a 15.5% increase in spending this year which will top $37 billion (Source: International Data Corporation). According to Gartner, Inc., the aggregate amount of cloud shift in 2016 is expected to top $100 million globally. 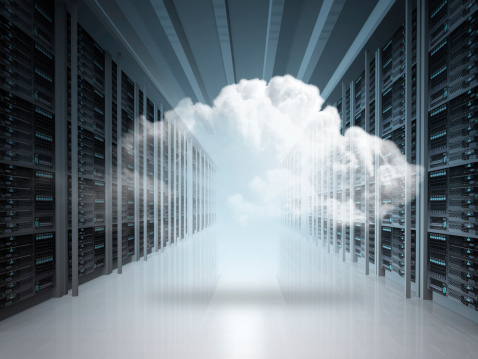 These financial projections demonstrate just how lucrative cloud services aim to be. Getting on board the cloud bandwagon shapes up to be a positive for any SMB, LLC, or large corporation. Especially for the large corporations, government organizations, healthcare and financial sectors. Though, any sole proprietor or entrepreneur would do well to level-up to the cloud as well. If you need help or have questions about migrating to the cloud or cloud services, ask the IT pros who care and want to help. Haxxess Enterprise Corporation is the leader in providing managed IT services in Sudbury, North Bay and Northern Ontario. Contact our expert IT staff at (705) 222. -TECH or send us an email at info@haxxess.com, and we will be happy to answer your questions.